A webstream of the meeting will be posted here, likely within 24 hours: Listen and watch online here. (pdf of Board agenda here). We have separate posts for the new policing contract approved by the Board and actions/news related to improving the Blue Line. •Approved making all-door boarding on the Silver Line a permanent feature. Staff report. In addition, this item calls for planning to put all-door boarding on the 754 Rapid Bus on Vermont Avenue and planning to roll out all-door boarding eventually to a number of other bus lines. That should hopefully help buses get from A to B a little faster. •Little Tokyo/Arts District, located between 1st, 2nd, Central and Alameda. It will be nice not having to cross Alameda or 1st to reach the station. •Grand Av Arts/Bunker Hill, located at 2nd and Hope — on the backside of Disney Concert Hall and the Broad. The station will include elevators to bring people up to a walkway level with Grand Avenue. •The Board approved going ahead with the feasibility study and environmental clearance of a grade separation for a Crenshaw/LAX Line rail crossing at Centinela Avenue in Inglewood. Staff report. This is an intriguing issue. The original plans for the Crenshaw/LAX Line called for a street level crossing. Since the Crenshaw/LAX Line was approved, a new NFL stadium for the Rams and Chargers in Inglewood has been approved and other development is underway in the area or planned. That is expected to increase the amount of traffic on Centinela. With the Crenshaw/LAX Line projected to open in late 2019, Metro will study how to get tracks across the intersection while building a grade separation. The staff report mentions two possibilities: a temporary track around the construction site or a bus bridge between the Downtown Inglewood/La Brea Station and the Fairview Heights Station during the period of the construction of the grade separation. The project is projected to cost $100 million to $150 million. Metro plans to also study a variety of non-federal funding sources as the Crenshaw/LAX Line is being locally funded, mostly through Measure R (the project did get a federally-backed loan). 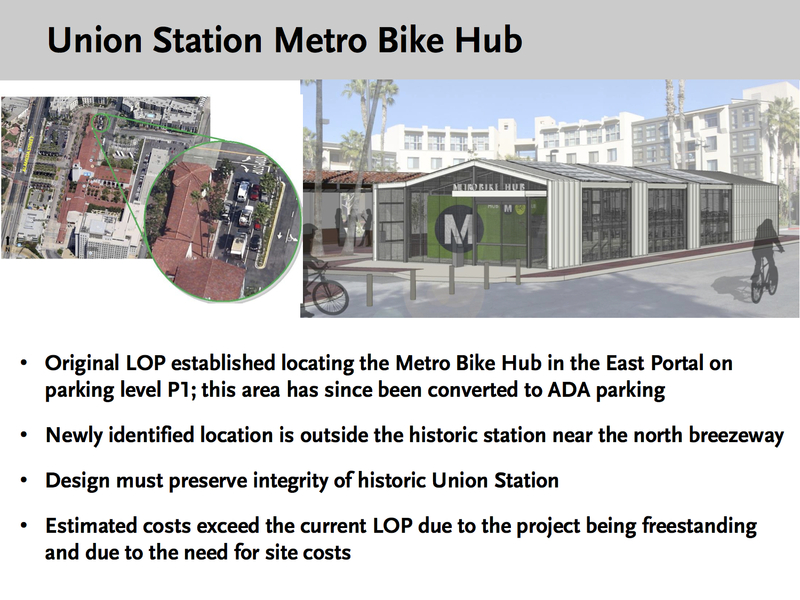 •Approving the budget for the Union Station Bike Hub. Below is a pic. Here’s a presentation and here’s the full staff report. 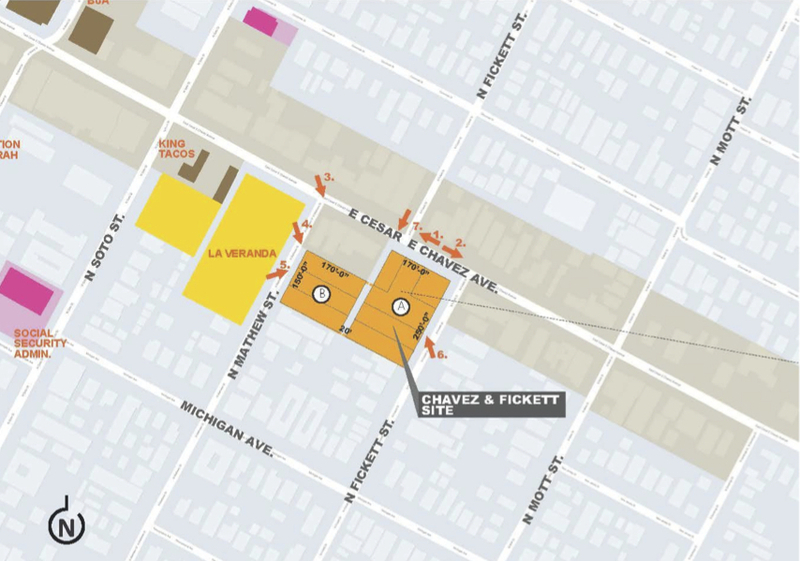 •Approved development guidelines for a 1.56-acre site in Boyle Heights near the Gold Line. Staff report. •The Board decided to wait until March to consider approving an alternative for further environmental review as part of the Link Union Station project that will add run-through tracks so that commuter and Amtrak trains can enter and exit Union Station from both the north and south. Please see yesterday’s post for more about this project. Board Members on Thursday raised questions about funding further study and the project itself. Staff report and post on Streetsblog LA. •Extended the negotiating and planning window with Trammel Crow and Greenland USA for 90 days for the North Hollywood Joint Development. Long story short: Metro owns four parcels totaling 15 acres adjacent to the Red Line and Orange Line stations in NoHo and is seeking to pick a developer to build on the site. Trammel Crow and Greenland USA submitted two plans last summer — both would make big changes to the area, with new buildings and parking underground. Here are the development guidelines, which have some interestingness in them. 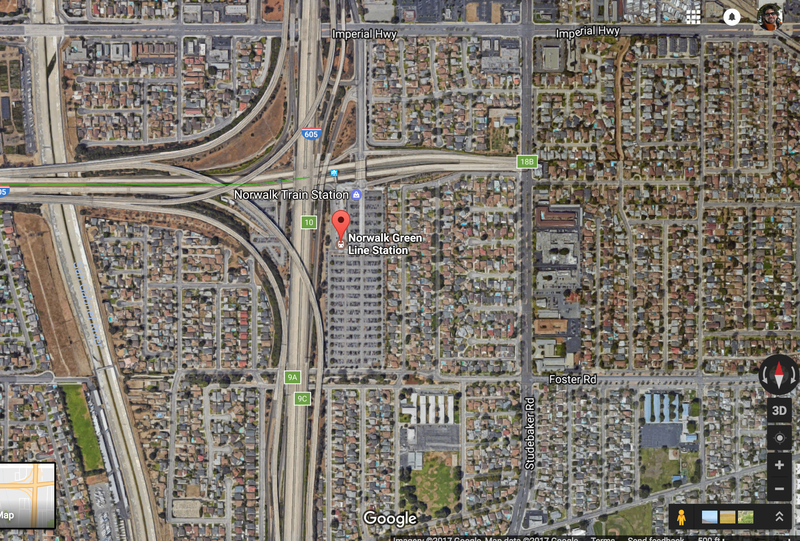 They have two years to build a bridge over Centinela on the Crenshaw Line. Why is there a problem? The overpasses on the Santa Monica Freeway which failed after the earthquake were repaired/ replaced in a couple of months. Get the engineers and construction companies going, there is no reason for a delay. Six months is a reasonable time to build a bridge. However, it is not long enough to plan for one, which is the difference between replacing a bridge and building one on a brand new site. A design will have to be approved. Studies will have to be done on whether it impedes driver sight lines and keeps the intersection safe for traffic and pedestrians. Underground utilities around the bridge footings will need to be surveyed and perhaps moved. Overhead wires will need to be relocated. The community will be solicited for input and given opportunity to object (houses in the area will be staring at an MSE ramp instead of at Florence Avenue. There is also a park which will now be hidden by an MSE ramp, and everyone will have an opinion about that). So hypothetically, if it takes a year to get the plans approved, and a half a year to build two MSE ramps, two bridge abutments, once cast-in-place span of about 120 feet…. Now you are pushing into the final six months which is reserved for integrative testing. The rest of the project will have rails buffed down, power activated, waiting for a test train. Any slip of the project– a sewer needing to be moved, a neighborhood objection, or a bad concrete pour, would delay opening by months. Grade separations are for the benefit of car traffic, not rail users. There is an existing grade separation one half mile west at La Brea. The $100 million for this project could be used more effectively elsewhere. It isn’t true that grade separations are not for the benefit of rail users. After all, they are exploring grade separations on the Blue Line to make it faster. Rail users prefer that the train does not need to wait for cars to cross. That’s an apples to oranges comparison. The sections of the Blue line being considered for grade separation are prolonged street-running segments where trains follow traffic lights without priority and interact with cars, slowing it down. Whereas this Centinela crossing is not only a single crossing, but one that I assume will have crossing gates, allowing trains to roll through at speed unimpeded. $100-150 million for a grade separation seems wildly expensive given the full cost of the line. I’m shocked it can’t be done for $50 million–makes me think there isn’t proper oversight of these contractors if the estimate is this high. Metro should RFP this out at $50 million–if no one can do it for that price, it shouldn’t get done. You have to build around an existing project, so it’s not that unusual. If it were designed as part of the project to begin with, and just added in as a change order before the track bed was in place, you could probably do it for $60 million, but now it’s way too late. For all doors boarding. Metro needs to install mobile tap validator on both sides of the doors, not just the left side so that two people can tap in at the same time in all doors. ADB is needed on both Vermont & Wilshire rapid lines.These lines should have should run on curbside bus only lanes between 6 am and 9 pm. When the motorists see the buses are moving faster than the cars, they will ride the transit. Metro also needs to think about the PR of opening a new rail line, then closing part of it very soon afterwards and replacing it by a bus bridge for however long it takes to construct the grade separation. There will be an immense amount of negative publicity. I know final approval was only given recently (worries about flight paths and so on), but hasn’t some infrastructure work around the stadium area been going for about eighteen months now? Why did no-one think of this then? You guys should look at redeveloping the giant parking lot at Norwalk Station. Put something there that would actually attract people, plus a parking garage that drivers have to pay to use. It’s such a huge piece of land that could be so much more than it is. Also, that lot fills up early. It would be awesome if you had a real-time space count at the entrance and/or your website to let people know if it’s even worth trying to drive there. Some parking garages have this feature. Still no mention of the when the bus system redesign (Frequent Bus Network) is getting rolled out? There was a whole plan set out more than a year ago, yet is seems to have been just put on a shelf to gather dust. I don’t have any news at this time. As soon as I know of something, I’ll get the word out. Gee, we now have a Bike Hub at LAUS. Buuut …. What ever happened to the new Silver Line stop by the bus loop? I’d suggest having Leonard Nimoy go In Search Of it, but he’s passed on. Thanks for catching that. I fixed it.